JMK | Celebrity Collision Center proudly is the first BMW Certified Repair Center in the nation. We are located behind our dealership at 5c Cornell Parkway, Springfield, NJ. 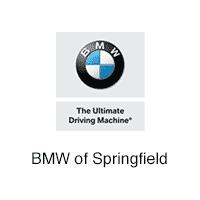 Contact us directly at 973-564-9300 or email us at collision@bmwofspringfieldnj.com. All insurance providers accepted assistance is just a phone call away….choosing the right collision center is no ACCIDENT! With over 50 years in the industry, our Collision Center will provide you with a computerized estimate or work with your own insurance estimate to restore your vehicle and above all, your peace of mind to a pre-accident state. From the smallest shopping cart ding to a major auto collision claim, we are committed and will work closely with your insurance company to see that you are provided with nothing short of the highest quality repair.